Ellen Rutten is a professor of literature and chair of the Slavonic Department at the University of Amsterdam. This essay was originally posted on the Yalebooks.com site. Concerns about sincere expression matter hard today. Social media and e-services are transforming the meaning of trust – in both bad ways (online frauds, hacker interventions) and good (when that cut-rate Airbnb apartment turns out to be as homely and lovely as you expected). Spin doctors and fake news makers destabilize public confidence in the integrity of legal, political, and media institutions (and, confusingly, lay fierce claims to truthfulness in doing so). Populist politicians deepen contemporary “crises of trust” by posing as honest critics of a politically correct elite (in populist logic, true representatives of “the people” dare to tell us painful truths; those who refuse to do so, simply lack sincerity). To stay sane in an era of disinformation and distrust, it helps to take a step back and ponder what we do when we worry about sincere expression. What does trusting a speaker mean in the first place? And how does the rhetoric of sincerity and trust function when used not for private conceptualizations of self, but in the squarely political arena? As soon as philosophers begin to ponder sincere expression, doubts about sincerity surface: in the fourth and third centuries B.C., both Confucius and Aristotle warn that the state of being true to oneself in private and public matters is a moral responsibility. Less ancient history – and Russian history, in particular – tells us that this responsibility is rarely framed as everyman’s trait. Instead, the ability to speak one’s mind is traditionally projected onto a limited set of concrete spaces or social groups. From especially the sentimentalist era onwards, writers and politicians have eagerly located sincerity in a coherent set of social strata. Women, children, “the people,” peasants, compatriots, political allies: those are the social categories to which they prefer to ascribe sincere expression. Historians have analyzed how nationalists represent their own nations as sincere and others as corrupt (Nietzsche parodied precisely this stereotype when he wrote that “The German loves ‘sincerity’ … The German lets himself go looking the while with trustful blue mepty eyes – and foreigners immediately mistake him for his shirt”). They demonstrate how political thinkers paralleled sincerity with opposition movements, and hypocrisy with regimes. And they have unravelled the consolidating function that sincerity rhetoric acquired in the rise of new nations and republics (in revolutionary-era France, intellectuals were so galvanized by ideals of a transparent society that they labelled hypocrisy a formal crime: in contemporary court reports, injured and perpetrator were consistently portrayed as “sincere” commoners and “artificial” aristocrats). Russia is a useful case to study the trend to ascribe sincere expression to some social groups and deny it to others. Up to the twentieth century, the history of Russian sincerity rhetoric blends in with transnational patterns. Take Lev Tolstoy: he relentlessly opposed his homeland (and especially “the Russian people”) as spiritually refined to a superficial, hypocritical West. His prose brims with sincere Russian commoners, and he believed “frivolous” Western artists lacked the “sincerity and plainness” that marked art from – surprise! – his homeland. Tolstoy draped his sincerity rhetoric in classic national hues – but in the Soviet era, the local history of this rhetoric took an idiosyncratic turn. The Soviet authorities inherited the trend to locate sincere expression in distinct social strata – but projected it exclusively onto the domain of the working classes and the party. As studies of journals, diaries, and personal documents demonstrate, the Soviet-era emotional economy paradoxically promoted sincere self-fashioning and double identities, forced trust, and duplicity. In this emotional regime, sincerity was sternly measured. Insincerity ranked as legal felony, for instance, in party-member autobiographical interrogations in the 1930s. Projections of insincere behavior onto disobedient members could prove lethal. “[Bukharin] insists on his sincerity,” so Stalin opened his trial speech against party official Nikolai Bukharin in 1936, “well, all right, let us talk about sincerity.” After assessing Bukharin’s alleged crimes, he concluded: “We should be whipped for the maximum of trust … that we gave you. There you have your sincerity and your trust!” Bukharin was sentenced to death. In post-Stalinist Russia, sincerity anxieties started starring in a different debate – one in which intellectuals cautiously criticized a hypocritical regime. Meanwhile, the same regime kept seeking formal proof of sincere party backing. Lack of such proof no longer proved deadly, but in the 1960s, a set of formalized moral rules did drill party members to display relentless truthfulness toward the party. Not coincidentally, Nikita Khrushchev firmly dosed tropes of honesty and sincerity (he uses the terms 106 times in part 1 of his memoirs alone) to position himself and his team as good (“sincere”) leaders as opposed to (“insincere”) Hitler and Stalin. The image of the party as sincere counterweight to hypocritical opponents backfired after the Soviet Union collapsed. Between the 1990s and today, leading post-Soviet intellectuals started seeking for a new language of sincerity – one that accommodates the nuances of postmodern logic and of a conflicted social memory. They are aware that “sincere people,” ofcourse, abounded “among Communists” (Svetlana Alexievich). And they frame Putin’s openly post-truth politics as a reactionary “new sincerity,” whose emergence cannot be isolated from the non-digested Soviet trauma (Kirill Medvedev). 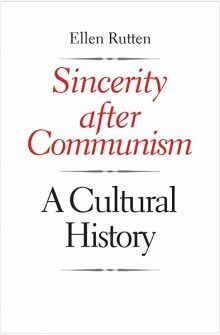 Of course, the Soviet take on sincerity neither directly “foreshadows” nor “mirrors” the ways in which politicians and journalists conceptualize sincerity today. The Soviet story is an instructive reminder of the risky dynamics that can unfold between claims to sincere expression, political pressure, and media manipulation. This reminder is no luxury in the Trumputin era. Donald Trump posted a total of 49 tweets after his election gain in November 2016 using the words “dishonest,” “fake,” and “false.” The tweets share a clear joint trope: that of projecting honest behavior onto the new authorities, and of equating insincerity to political opposition. In Soviet Russia, the same trope evolved into a legislative tool in a highly detrimental emotional regime. In this regime, a correct answer to the question: “are you sincere or not?” was no mere moral responsibility. It could make or break lives.